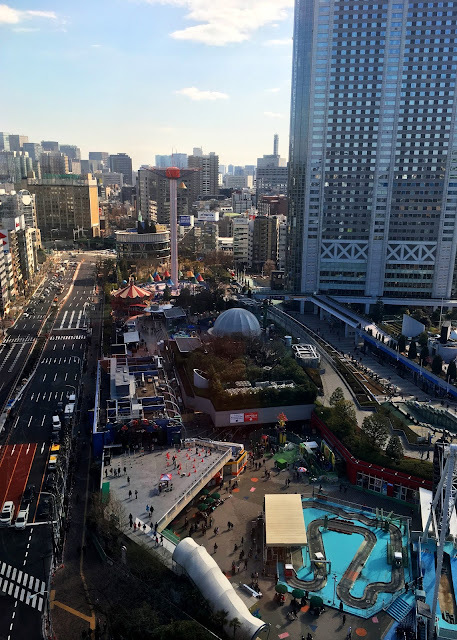 So Tokyo Dome is most famous for being where the Tokyo Giants play, but did you know that there’s also an amusement park attached to it? 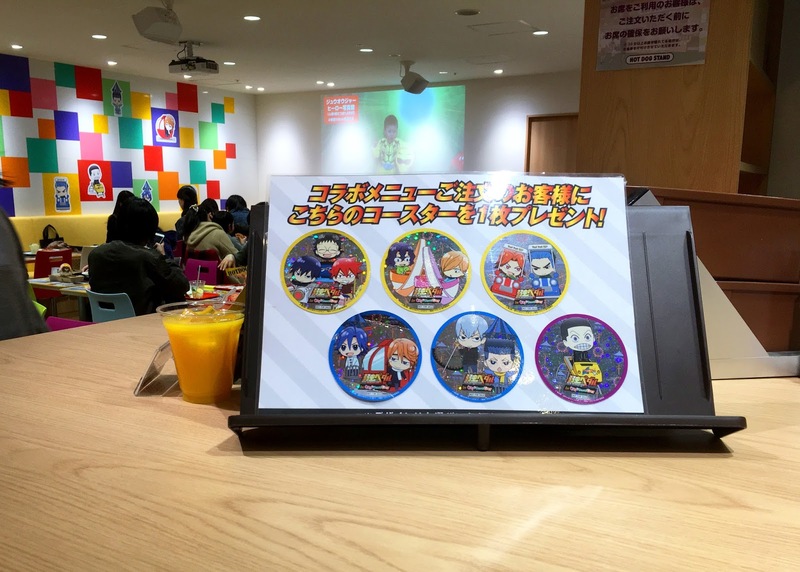 They frequently do collaborations with popular TV shows, anime, and manga, usually media geared towards teenagers and children. 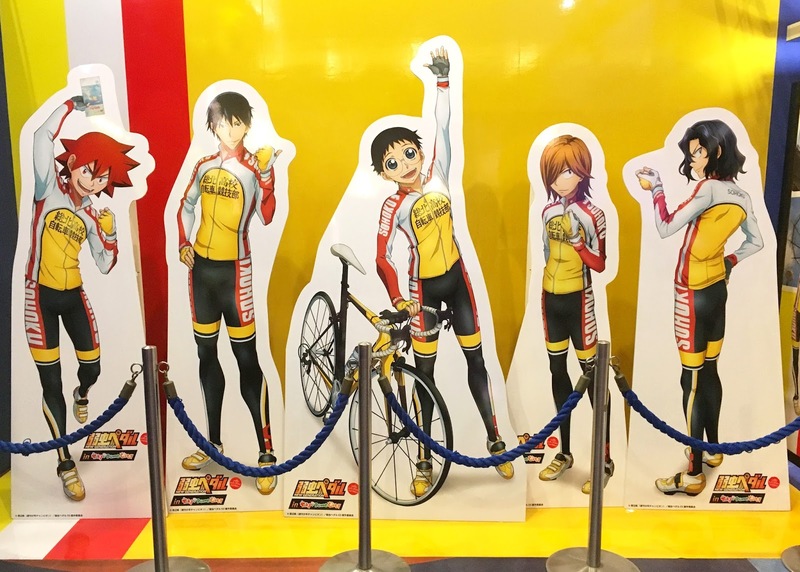 Previously this year they did a collaboration with Haikyuu, and the Yowamushi Pedal collaboration just finished. 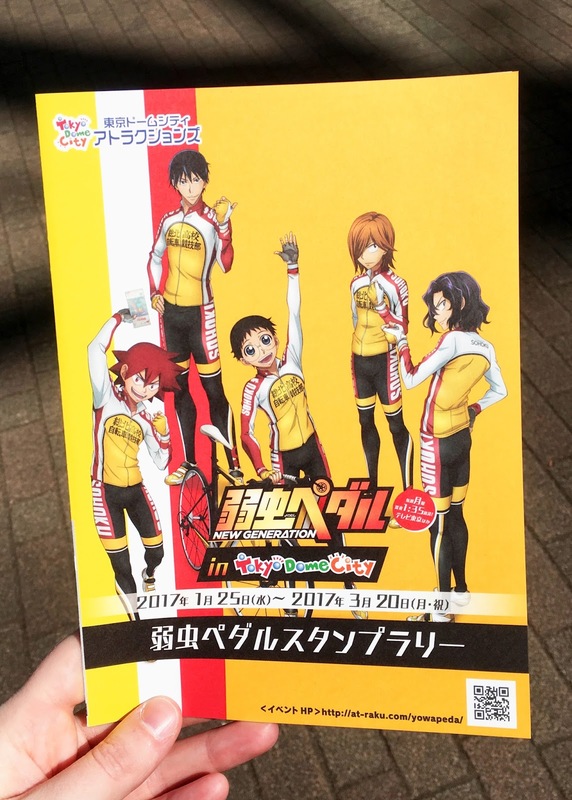 So a friend of mine had been wanting to go to this event for a while, and we finally met up in Tokyo to go on the second to last weekend! 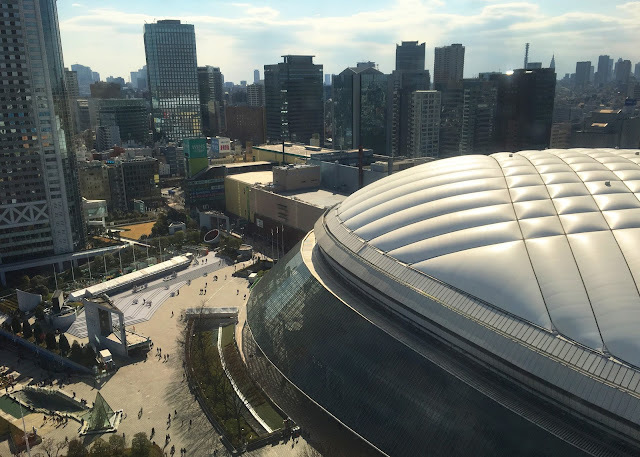 The way that Tokyo Dome City Attractions works is that you pay for rides, but not for entry. 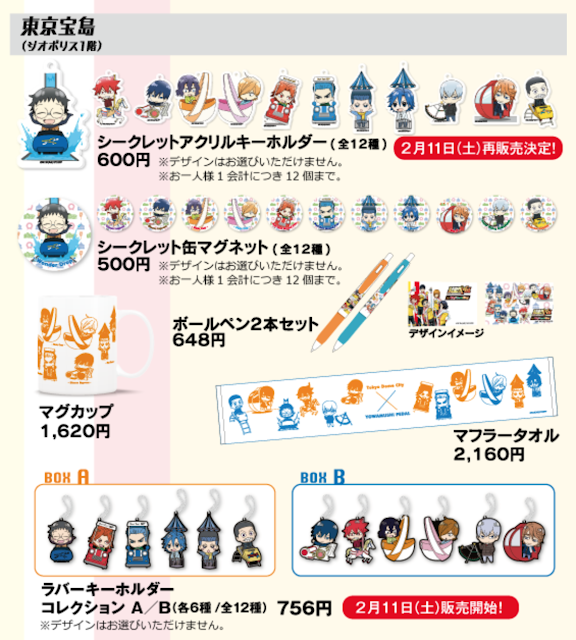 This is great if you just want to buy the limited merch or food and then leave, and there are a veriety of ticket options depending on what you want to do. There is an unlimited ride pass for the day for 3,900 yen. Since most of the rides are not the super fun intense rides, my friend and I initially bought the 5 ride pass for 2,600 yen. What’s really cool about this is that the rides can be used over the period of a couple months, so that if you work in the area and need to get your roller coast fix on your lunch break, you can do that. One thing my friend and I were not aware of until we asked someone about how to get the paper for the stamp rally, was that there was a special Yowamushi Collaboration ticket. This ticket gave you 3 ride tickets and the booklet to collect the stamps for the clear file stamp rally for 1,800 yen. 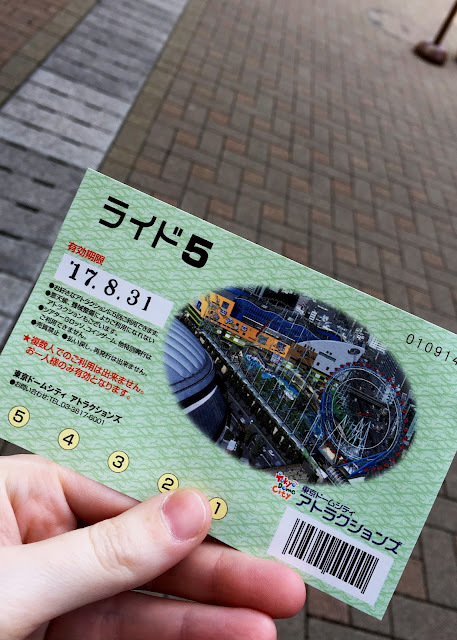 There was only 3 rides we really wanted to go on, and this ticket was considerably cheaper, so we returned our 5 ride passes and bought this one instead. 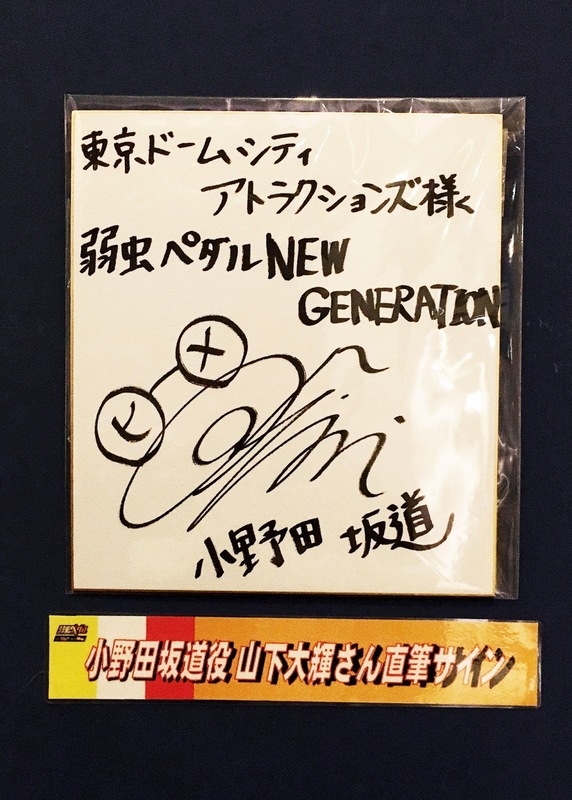 The front of the special collaboration ticket booklet. 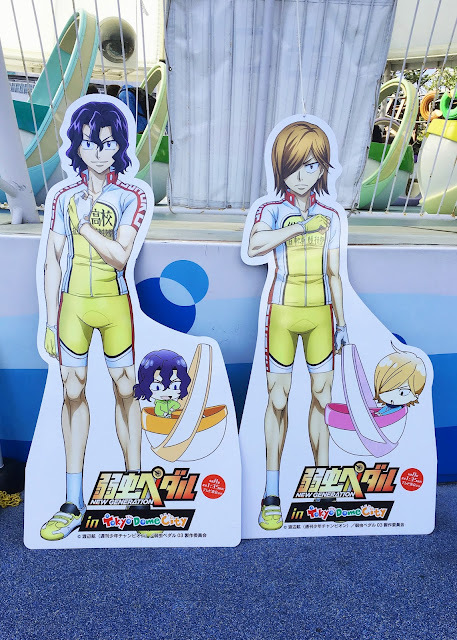 So being that this was an amusement park collaboration, I figured I should talk about this first and foremost. So my expectations for this collab were nowhere near what it was actually like. 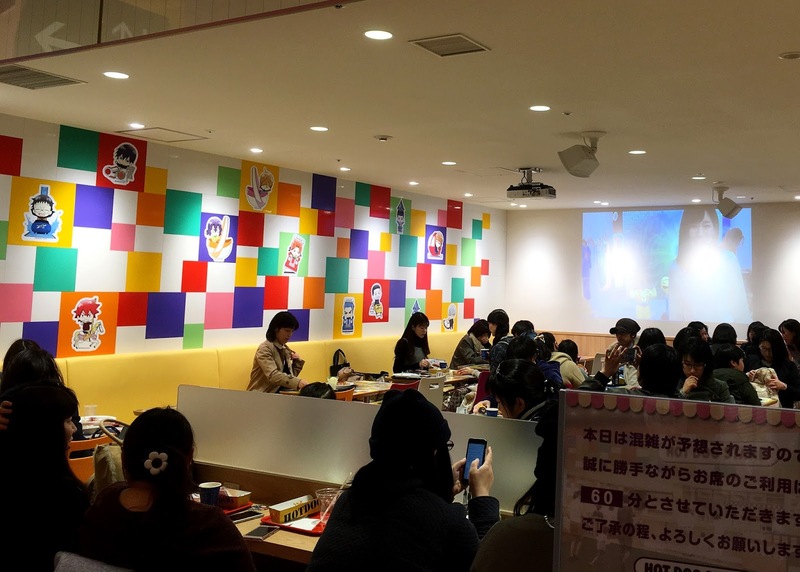 At a lot of anime cafes, they tend to shove the anime it’s about down your throat, so that the whole place is decorated with characters and branding, but it wasn’t the case for this park. 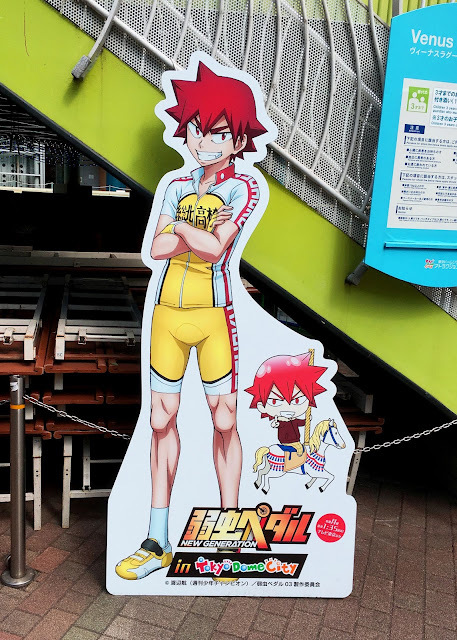 There were about 9 standees of the main characters from the new season set up around the park, the hot dog stand was decorated to resemble a Yowamushi Pedal café, and the ferris wheel had stickers of the characters on the sides of some of the cars. 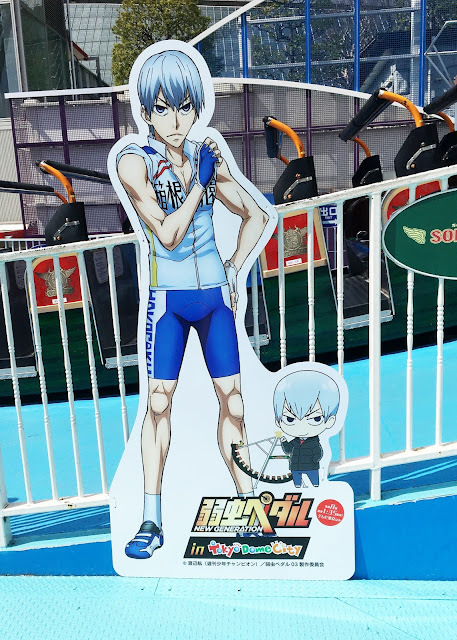 The collaboration art is pictures with the characters on the rides the standees are next to. I am ashamed to admit that I have yet to start the new season and I don't know who these characters are. I see no change here. 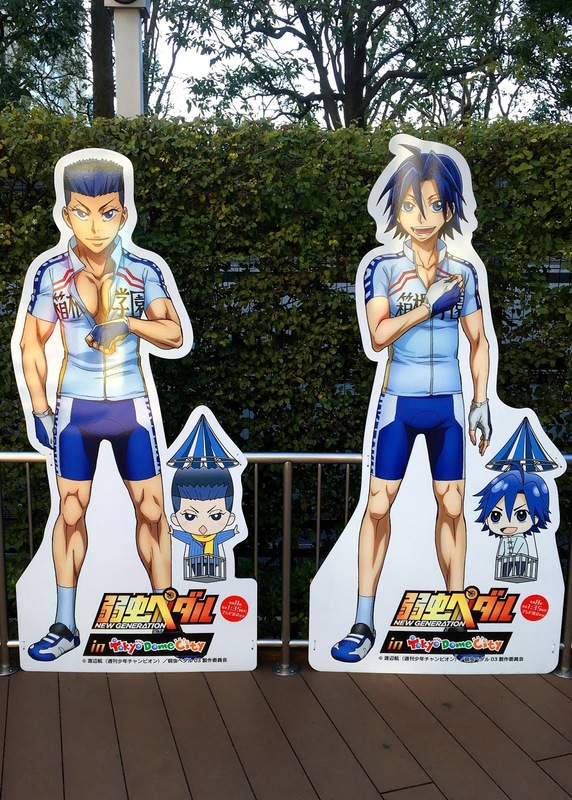 What happened to Izumida? 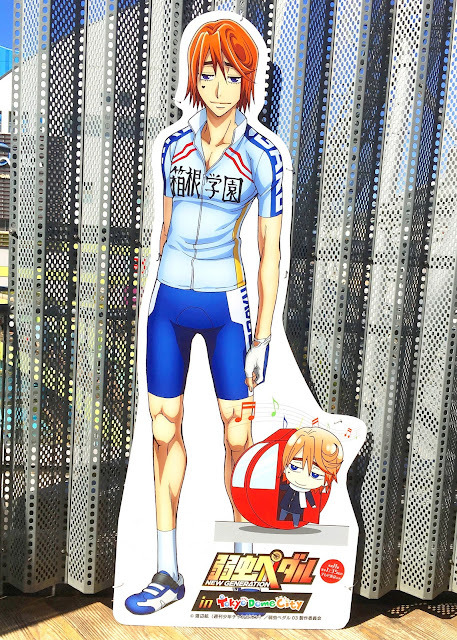 And hello my favorite biking psychopath. What is he even doing with his hands? 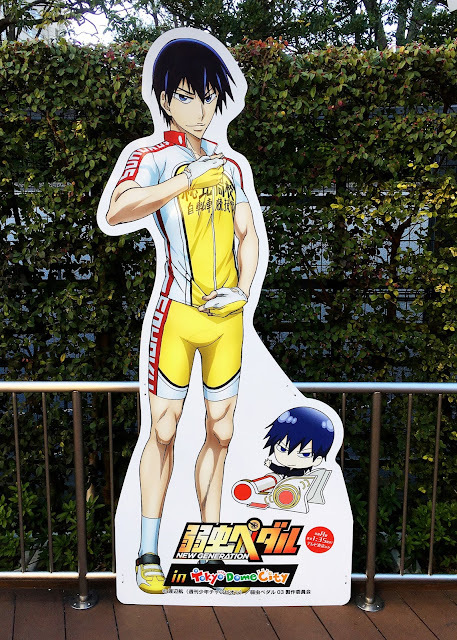 My pure angel. 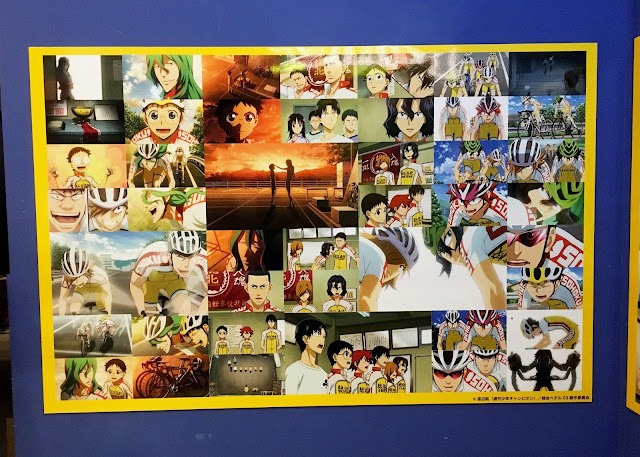 I hope you continue to watch anime and have friends. 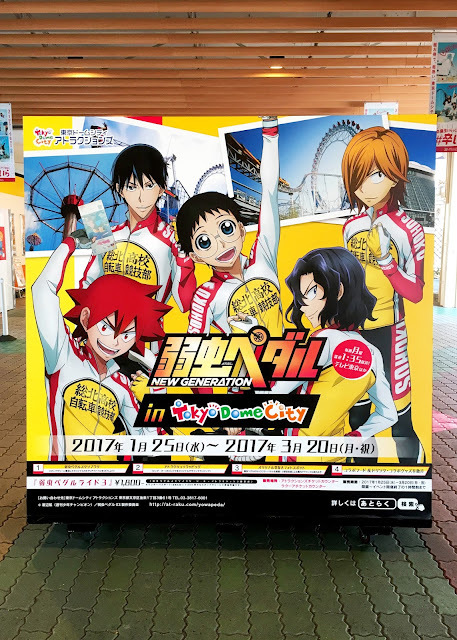 With the Yowamushi Pedal ticket, you got 3 rides for 1,800 yen. My friend and I went on the ferris wheel, the single rollercoaster that this park has, and a dropper(not pictured). One of the interesting the interesting things about this ferris wheel was that there was a screen where you could play music and videos from! 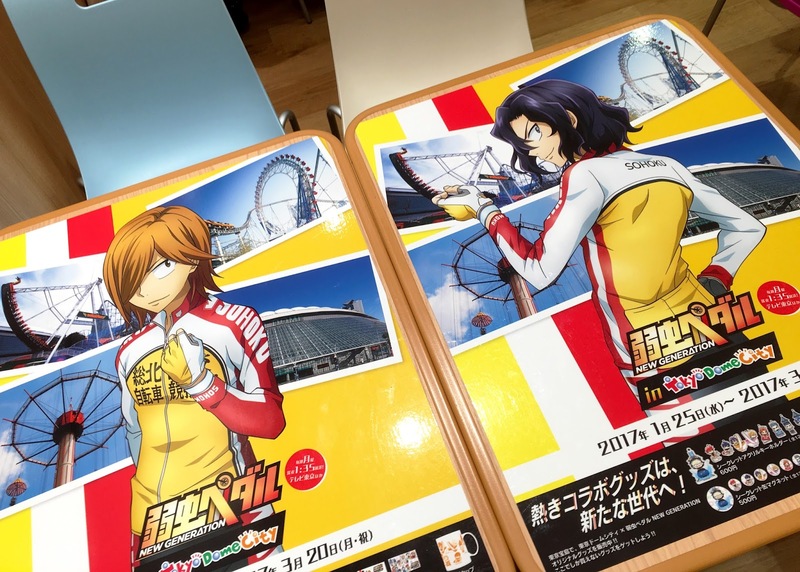 They had the Yowapeda PVs and two of the theme songs loaded on it. 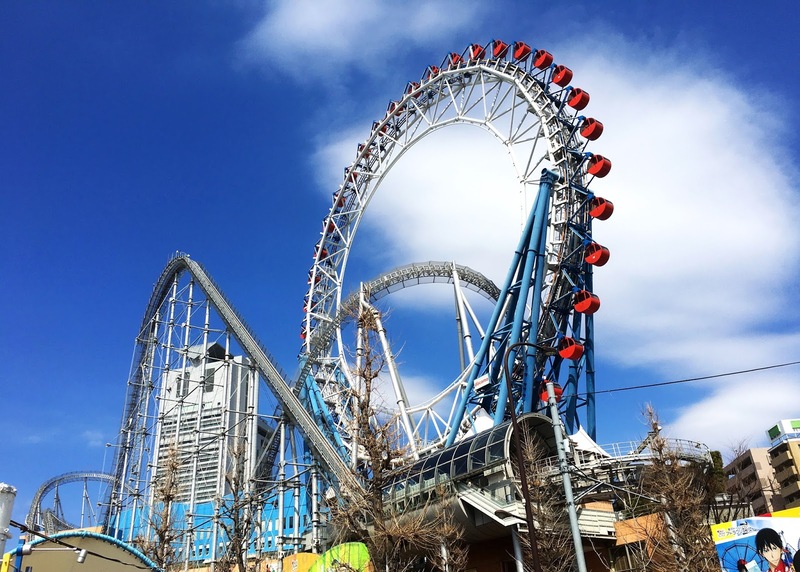 Since you pay by ride at this amusement park, the ticket only really worth it if you go on the most expensive ride, which is the rollercoaster. I have never been on a rollercoaster in such a urban area, so I did not expect it to be so much more terrifying than the amusement parks in America. Usually, there are trees and lakes around the rollercoasters in America, and when I see those, I feel like if I fall out there's a chance I might live. For this one, there was nothing but buildings and the concrete of the city streets to protect your fall. 100% would have died from that fall. Here's some shots from the farris wheel to give you an idea. 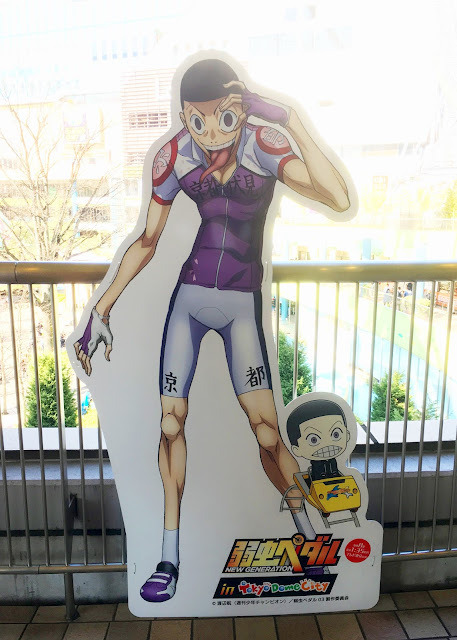 This view must have been even more hilarious during the Haikyuu event. 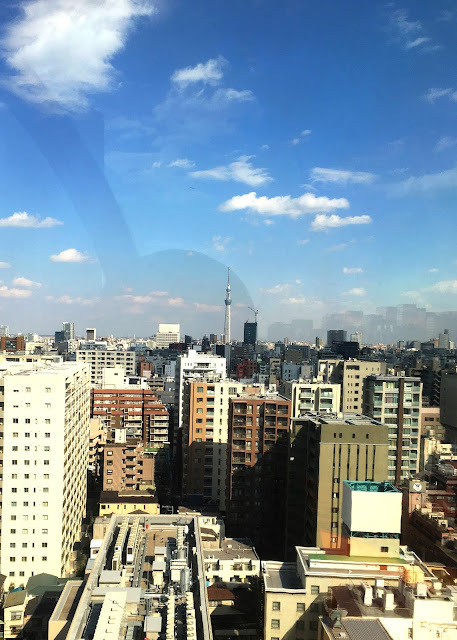 Yes, that is the actual Tokyo Sky Tree. It would be a good place for a date after a baseball game. 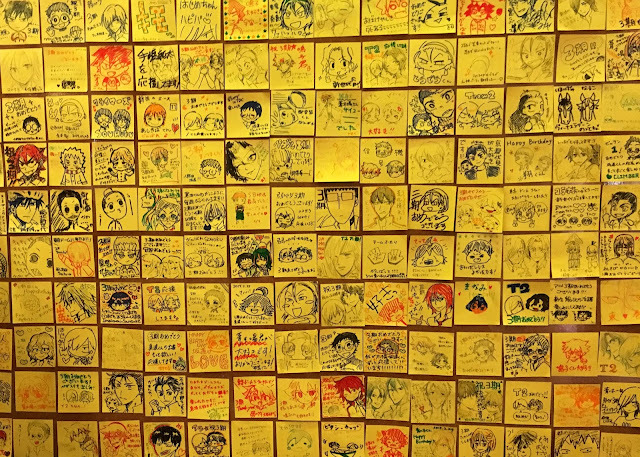 The area with the strongest theme was a small exhibition down stairs from the hot dog place. It looks like they are wearing thigh highs. 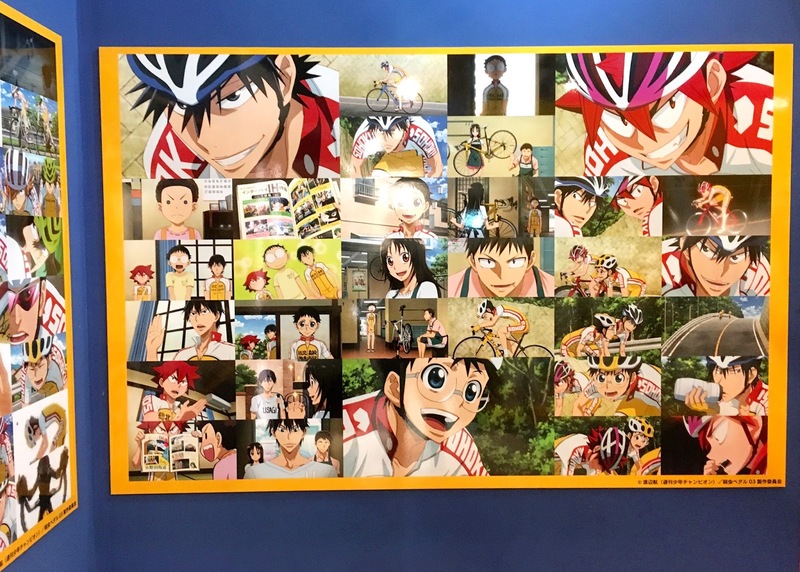 If you bought the special Yowamushi Pedal ticket, then you could go on a stamp hunt to collect three stamps of the characters, and come back there to receive a random small clear file as a prize. 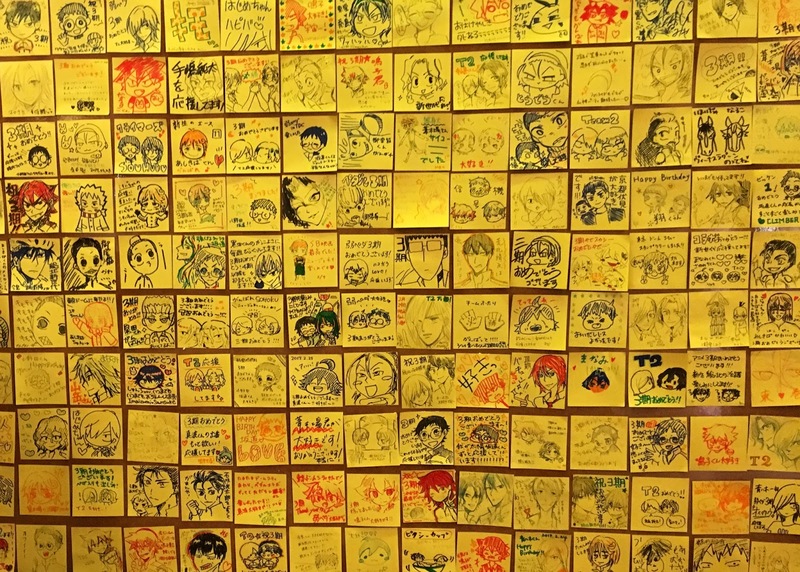 In this area they also had a station to decorate post it notes, I believed they selected their favorites to put on the display wall. Some of these are ridiculously good. 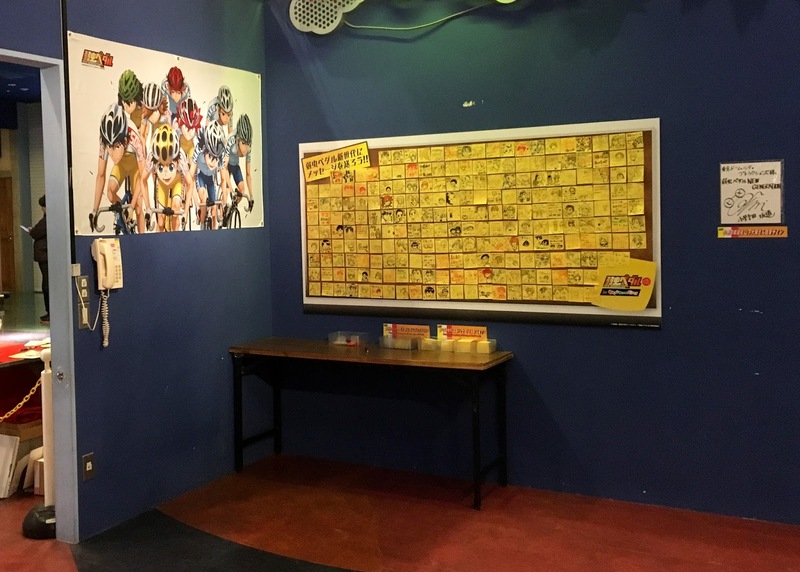 There were also a could examples of screenshots from the show, a photo booth, and an autograph board hanging on the wall. So the weird thing about this board is that it is signed as Onoda Sakamichi, but as the sign at the bottom says, it's really Yamashita Daiki, his voice actor, who signed it. 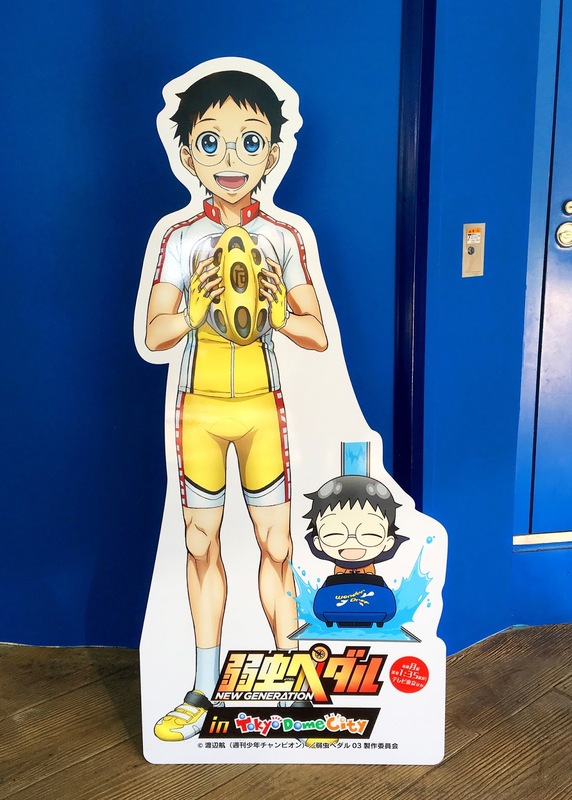 Spoiler alert, apparently Onoda Sakamishi is not real. So one of the weird things about this event was the placement of the food. 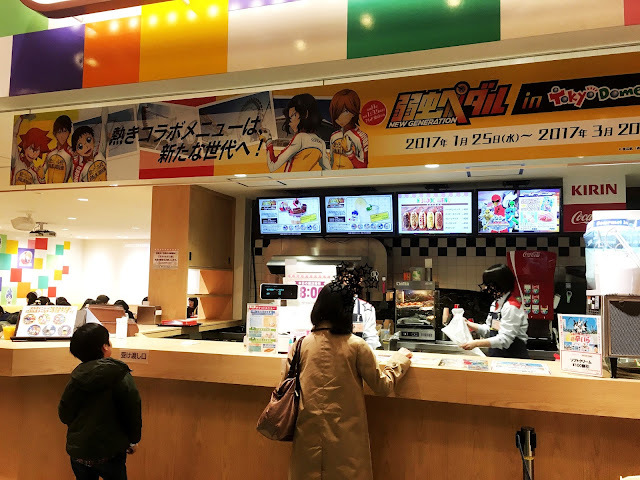 They had three different locations serving collaboration food items, but they were unevenly distributed. 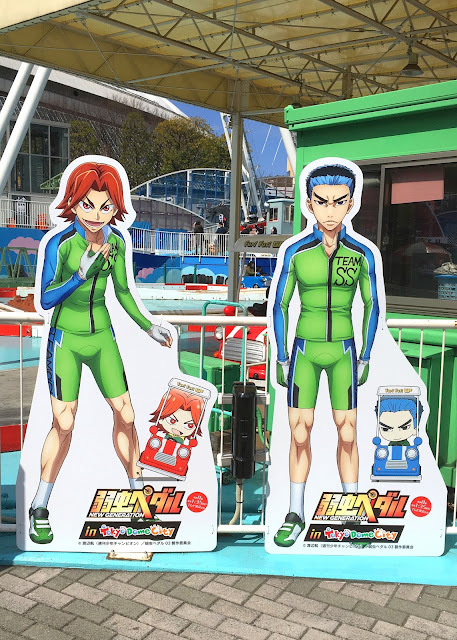 The Hot Dog Stand had about eight food items, the had two, and the crepe stand only had one. 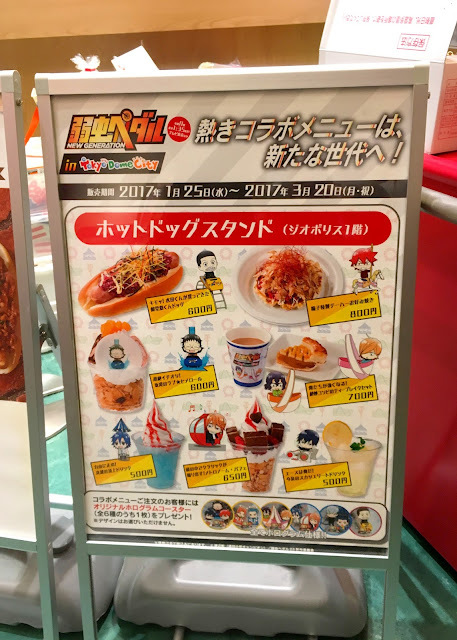 I only went to the Hot Dog Stand and the Crepe Stand. It was a little weirdly sorted out, and some of the food item designs were not particularly strong. The Hot Dog Stand seemed to have the strongest design and the whole restaurant honestly just looked like a Yowamushi Pedal collab café, which is good. I kind of was expecting the whole park to look like that so it was good to see it somewhere. The drink was not very good. 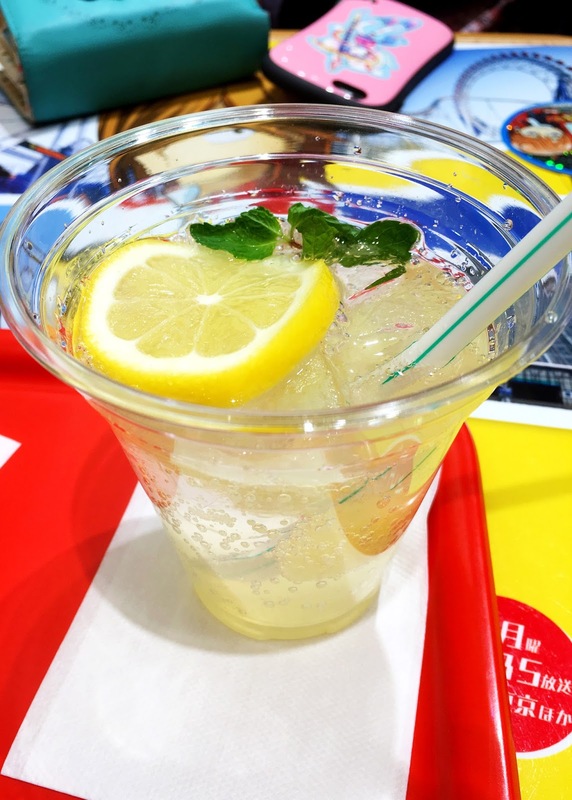 It tasted like normal CC Lemon soda, except they put chunks of actual lemons in at the bottom with no sweetener, so it was a very sour surprise. My friend kept asking me why I kept eating them even though it physically pained me, and the answer was because I just could not figure out how to stop myself. 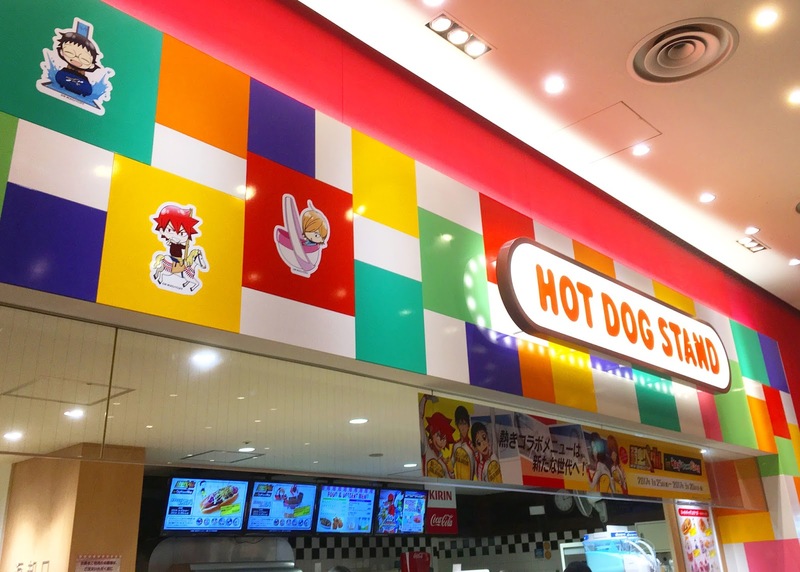 So when I looked at this hot dog, nothing about it looked appealing to me, but it was the only savory food option on the menu. 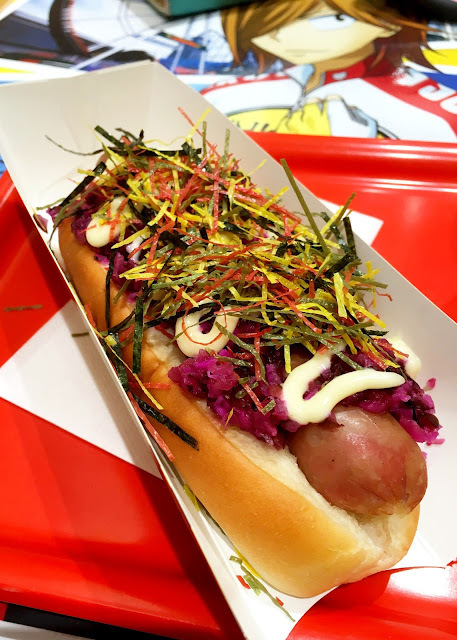 It was a hot dog topped with pickled cabbage, mayonnaise, and seaweed. 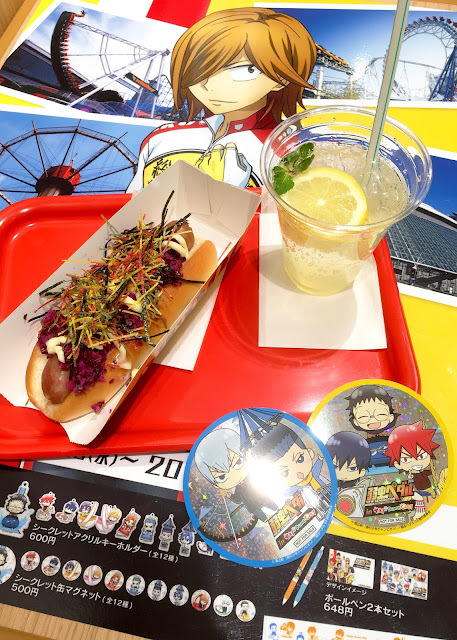 Luckily the flavor of the hot dog was not over powered by the pickles, and the seaweed had an unusually light flavor. Now, it tasted better than it sounded, but I would not order it again. This was just a mishmash of things I do not like on top of a thing I do like, so it was not particularly enjoyable for me. So I enjoyed this crepe alright. My favorite part about it was the brownie on top! I liked that even though it was a collab, they did not cheap out on the fillings bcause it had a brownie, ice cream, whipped cream, mangos, strawberries, cookies, and a marshmellow on top. I will say that I was slightly disappointed that the Onoda marshmellow was not a macaron, but we can’t have it all, now can we? I would eat this one again. 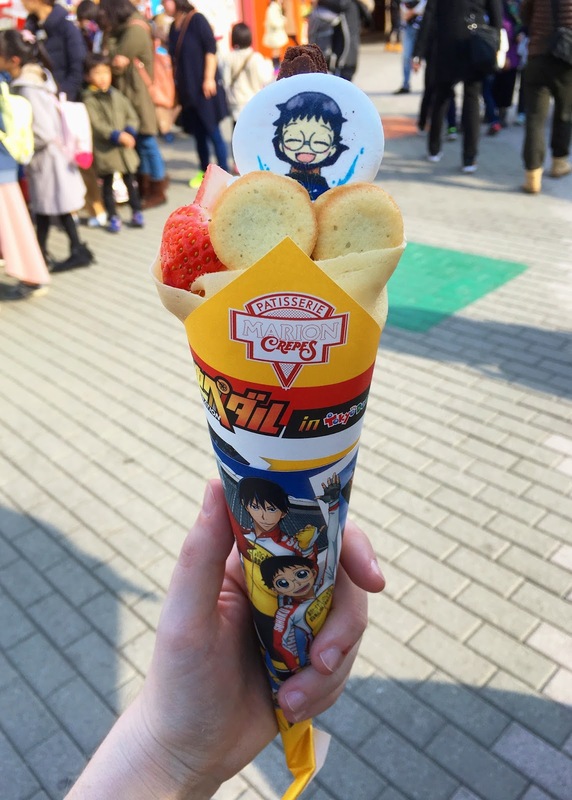 The wrapping for all the crepes in the shop was the Yowasmushi Pedal special printed crepe wrappers, which was kind of confusing when I was trying to see how popular the crepe actually was, but kind of nice because seeing all that yellow made the theme park feel more strongly themed. Near the “goal” line for the stamp rally, there was a station set up with someone making costume good luck charms. Since it is not exactly my favorite show, I did not get one by my friend did. 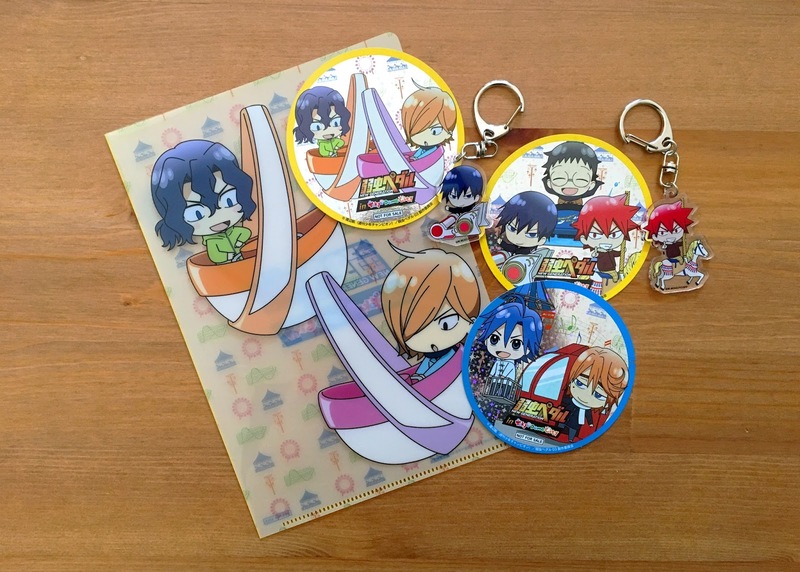 You could choose what character, what color you wanted the strap to be, what the charm was for, and they would put your name on the bottom. 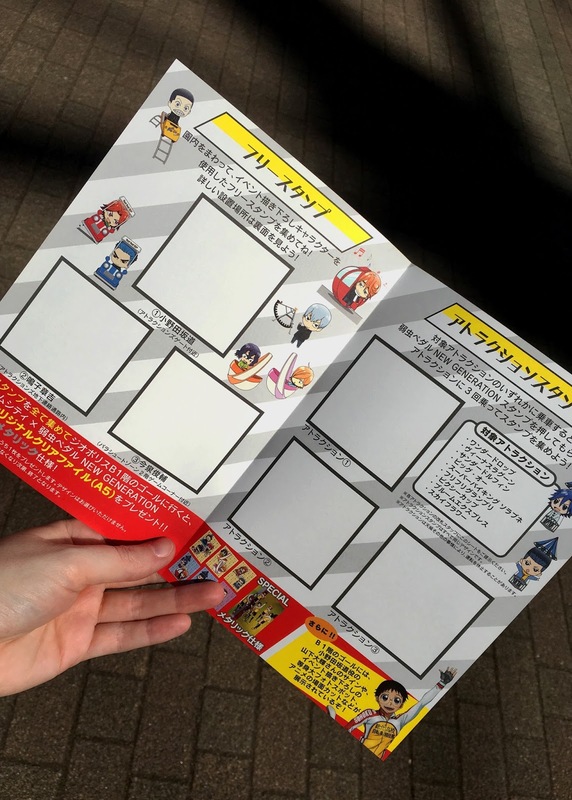 It was kind of funny and cute to see, it reminds me of those cheesy name cards from my childhood. So, I went as not the biggest fan of the show and with relatively high expectations that were not met because looking back, they were kind of unreasonably high. I would say if you have low expectations and are a big fan of a show, it is worth the trip, but if not, you can just buy the café food and merch, as well as check out the exhibit for free so that might be the best option. Even though I intended it to take up a full day, there was not really enough to do at the park to spend the whole day there. One good point that I would like to mention is that there were hardly any lines at the park, so if you wanted to ride something multiple times over, you might have to wait 10 minutes at most, and I went on a Saturday.